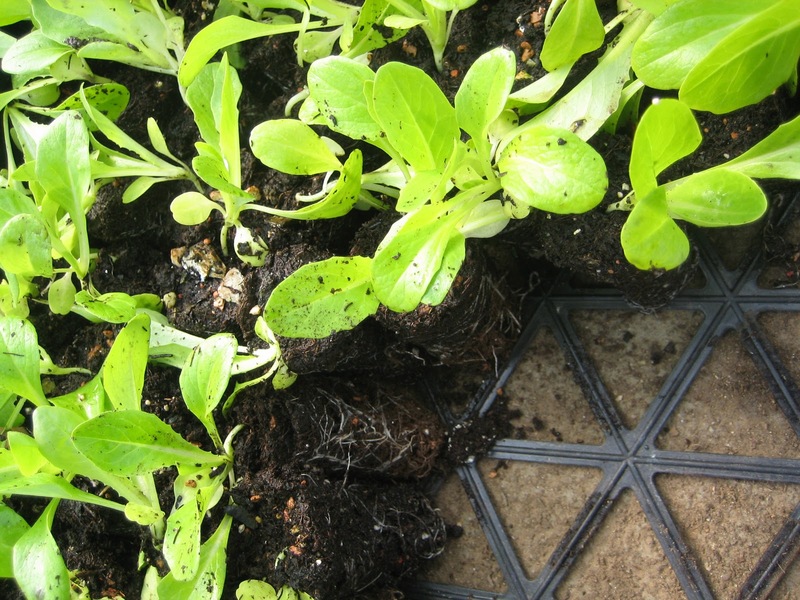 After a few weeks of being watered and cared for in these plastic cells, this lettuce will be much stronger defending itself against pestering weeds that will try and compete for the same soil nutrients. 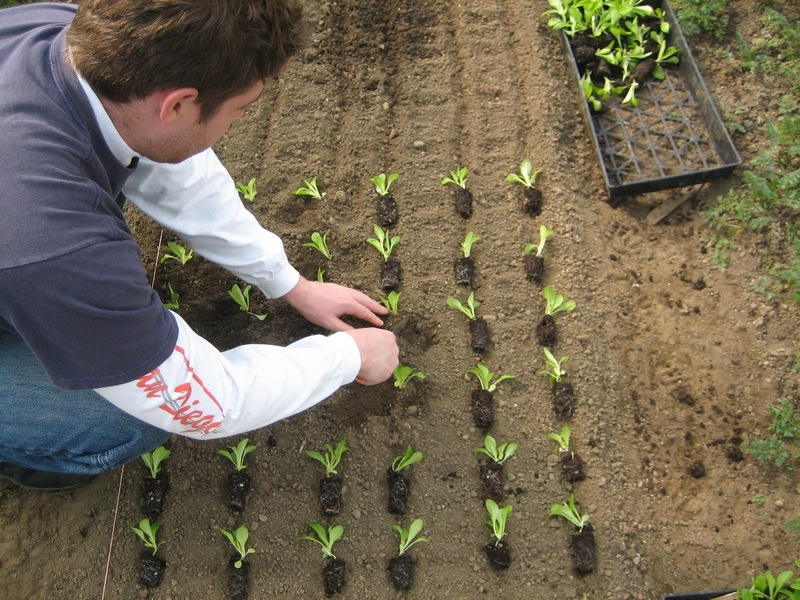 While the lettuce is being germinated, the soil beds can be repeatedly weeded and preparted to make the lettuces eventual home as comfortable and weed free as possible. Another deterrent are birds and other animals that can eat seeds or mini sprouts decreasing the yield of that particular bed. 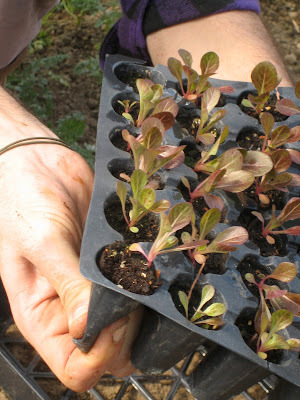 Especially in a greenhouse, where every inch counts economically, you want to make sure your germination rate and yield are as efficient and high as possible. Another interesting factor we noticed was that some of the seeds grew into these light green babies whereas others developed quicker into the eventual red/purple color that all Breen lettuce will eventually become. As it turns out, these red/purple guys below were left in a warmer portion of the greenhouse that changed the development of the root growth. So how do you get them out of this plastic containers? First, soaking them with water was a great technique because it helped keep all of the soil tightly packed so when you pinched the bottom of the plastic the entire soil and plant slid out together. You can see here, they just pop out after being soaked. Grabbing the infamous sword, we head over to the operating room to take care of business. 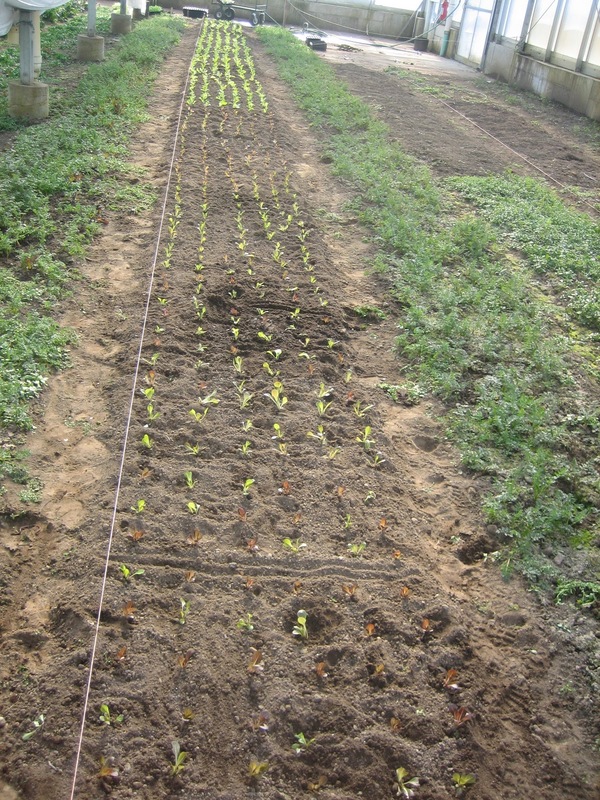 Although it seems simple, it's a good idea to mark out the lines where each plant will go, so there is no confusion later on. 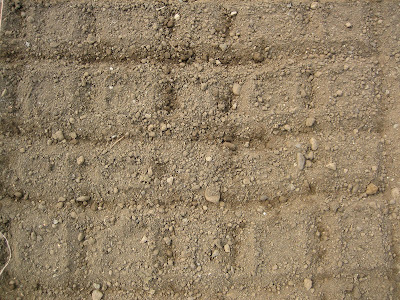 It's also good to remark the lines as you go since they tend to fade and if you end up with crooked lines it makes it much much tougher to weed and clean up the beds as they develop (let's just say hindsight is 20/20 and there may have been some accidental zigging and zagging, pic not available). Another easy and efficient technique when working with more than one person is to have one of you lie out the plants on their respective marks while the other digs a little whole and puts them in the ground. Just pop it in a semi shallow hole and cover it up. The more contact with its new home the better so the roots can more quickly and easily acclimate themselves to the new soil. The propagation technique seems to work very well and can be done for many different fruits and vegetables. The Captain has been doing this for some lettuce, tomatoes, artichokes and onions just to name a few that will eventually end up out in the field when the weather warms up. Thanks for sharing this methodology. 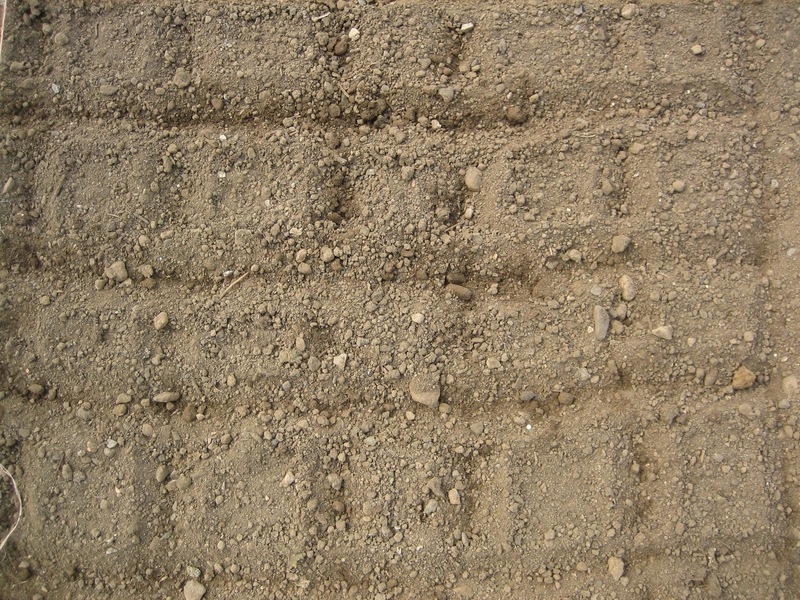 It should make planting that more efficient. Thanks for reading. Definitely write back with some experiences of your own and if you're having any trouble, just let us know and we'll see what we can come up with. There's no black and whites in farming so it's good to sift through all the ideas and see what works best for you and your land.